Every bathroom has that same awful mirror... You know the one. The frameless (sometimes off-centered) hunk of enormity that fills up the entire bathroom wall. Both of my bathrooms had them, and they had to go! My husband and I spent a lot of time on Youtube looking at tutorials for how to remove the enormous mirror without destroying it. I was extremely nervous, and took some of my pictures from the safety of the shower as my hubby helped me pull it down. 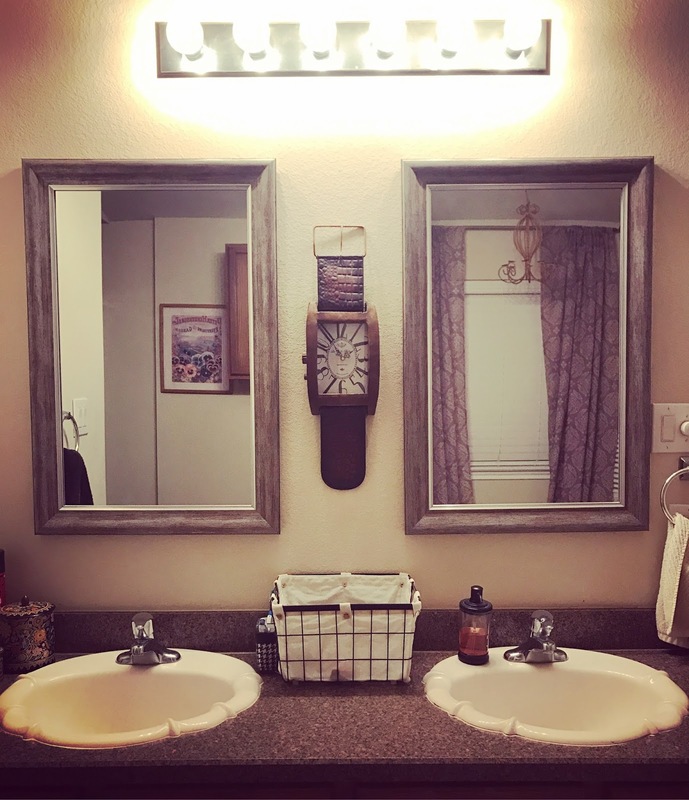 But the results completely changed the look of both bathrooms! 4.Safety goggles in case the mirror does break! First, take the security brackets off from around the mirror. Don't worry, most mirrors are glued to the wall, and the brackets do pretty much nothing to support the mirror. Some types (left image below) can come off before removing the mirror. Simply unscrew and remove. Some of them (right image below) bend back and you can unscrew them after the mirror is off. Just make sure you bend them down enough to stay out of your way. Either way, there are going to be small holes for you to fill and repaint. After taping it up, you'll need to pull it off the wall. This is the part that scares people because shattered glass is a scary thought! Use paint sticks as spacers behind the mirror. Slide them behind the mirror to create some space between the mirror and the wall. Gently pull the mirror back from the wall, starting from the top. As you pull, slide the spacers down to where the glue was. Keep pulling and sliding the spacers until it is peeled off the wall. Once the mirror is removed, you will have some marks where the mirror was glued. Thankfully, the spots on my wall were small. If they are larger than the mirror you were planning to hang, you may have to do some spackling and touch up work. But if you're like me, the mirror covered all of the blemishes and hung nicely. I simply hung it the way you would a picture. If you have kids, or are worried it could be knocked off for other reasons, you may want to mount it more securely with a mirror mount like the one below. 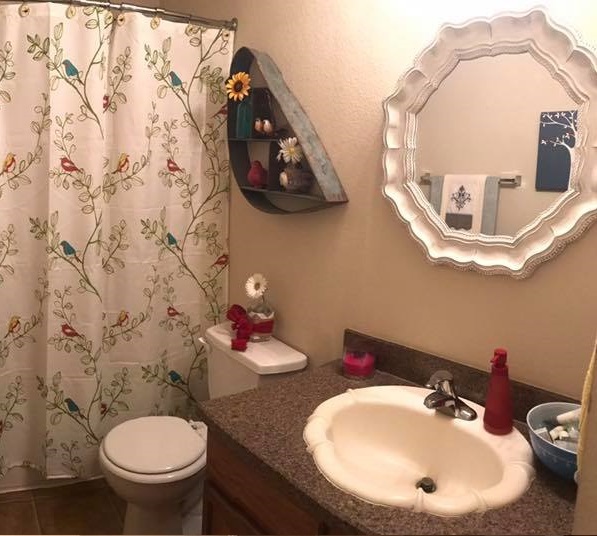 And since I loved my guest bathroom so much, I did my master! The mirror was larger, which meant more glue dots. You can't tell from the picture, but the clock in the middle is covering a small blemish. Nothing a little ingenuity can't fix :) Whenever we sell the house, it's a spot I'll have to fix. Can I say, those awful sinks are the next thing to go?? But the change in mirrors changed the whole look of my bathroom! Goodbye off-centered, frameless mirror! I won't miss you! This afternoon facelift can change the whole look of your bathroom! Why not start today? 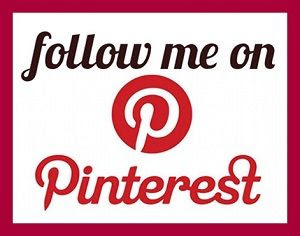 Leave me a comment if you have questions or more exciting ideas!